Ring! Sometimes you need an alert to get your attention. Traditional phone systems make this easy – if someone calls you your phone rings. The traditional telephony model assumes the called device is always on an available to ring and this is how it generally works across analog phones, mobiles, VoIP phones, and even desktop calling replacements like Skype. The challenge in the web model is that you can no longer assume the remote device is available to run your program’s ring command. Even if the called party has a browser open, it does not mean they have a tab running your app. This means you need to find some other means of telling the called party to go to your URL. That can be limiting for a lot of apps. Fortunately there are solutions for this. I regularly review WebRTC-based apps and services. I came across Videolink2.me – a video conferencing, screen sharing, and chat app that includes the ability to receive calls even if you do not have a videolink2.me tab open. Konstantin Goncharuk (@kkooler), founder of Videolink2.me, agreed to share the details on how he used WebRTC’s DataChannel and a Chrome Extension to do this. Konstantin is a web developer focused on high-load, scalable. Konstantin created Videolink2.me in his spare time with the goal of decreasing the technical and commercial obstacles required for interpersonal communications. 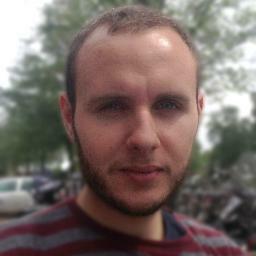 We’re happy Konstantin agreed to share his experience and some code on how to do this. Each year bunch of software that used to be a desktop application migrates to Web world. Google started that movement with the Gmail web app and other vendors actively followed that trend so now we have a lot of web-based applications including chats, mail clients, photo edit services and so on. Web apps are easy to use since they usually don’t require any software installation. However, they do have some of disadvantages – the most important is a lack of integration with the operating system. This means it the app cannot be always on. It will not start automatically after a reboot. WebRTC is creating a new generation of web applications with the same problem. WebRTC web chat users can receive messages only when the chat app is opened. To start a conversation two persons need to open the same page and have agreement at what time they both will be there. How about spontaneous communication like traditional phone apps allow? How can we notify user that he received new message? How can we let our users receive calls when they don’t have Videolink2.me opened? Finally we found a way! Below I will share our experience and describe how to use Chrome extension and WebRTC DataChannel to receive messages directly into browser without needing to have web page opened. Let’s start from making simple WebRTC based chat- when one opens the page they should be able to enter their chat name and the name of the user they would like to chat with. And as soon as both users are online they can start chatting. I’ve used Twitter Bootstrap to make the design more beautiful than my developer hands can produce, PeerJS library to simplify DataChannel usage and of course JQuery. You can get a PeerJS API key here or setup your own PeerJS signaling server with this code. Since the DataChannel supports only communication in one direction we need to have 2 channels for each chat: one for incoming and one for outgoing messages. When we click to “Enter” button, outgoing peer connection is established and we wait until second user does the same. After everyone is connected we receive data over the incoming DataChannel. So our incoming DataChannel is outgoing for other user and his outgoing is incoming for us. At this point everything looks easy – we just need to establish a connection and send/receive messages via the created channels. What happens when one user wants to chat but second is not at the page or he’s not connected? They need to have agreement at what time they both will synchronously login to have a chat. That doesn’t sound user-friendly, right? How great would it be if the user could get a notification when somebody is waiting for him. It would be even more amazing if that user could get the notification without need to have chat page opened at all. That’s when Chrome extension appears on the scene. How can we use WebRTC in Chrome extension? So extension should establish a WebRTC connection (set our name and name of the person we’re waiting for) and notify us when second user is connected. It will contain background script that listens to the WebRTC connection and as soon as a connection is established it will show the notification. //This part taken from webpage. We create connection and wait until second part will join. At this point we have everything we need to be notified when Bob enters webchat. Let’s try it in action. //This part taken from webpage. We create connection and than just wait until second part will join. Our extension has two files now: background.js and manifest.json. To upload it to Chrome, we need to put them into zip archive, open Menu -> Tools -> Extensions, click “Developer mode” checkbox, then “Load unpacked extension…” button and select our archive. After you upload it to Chrome, background page will establish WebRTC data connection and show notification when second user is connected. We also use Chrome extension in Videolink2.me, to let our users receive video calls, even when they don’t have their page opened. So people can get connected easy, without making appointments or planing exact time. Note that PeerJS only allows one login per ID. The way our simple app is written you cannot chat back using the same browser that received the notification – the ID is already being used by the Chrome extension. In Videolink2.me we use self-made p2p library that can deal with the same user logged in multiple times. So instead of sending message once, we “broadcast” it to all user connectors. That’s how our users can receive notifications in both the webpage and extension (and theoretically in as many connectors as can exist 🙂 ). This specification defines a “Push API” that provides webapps with scripted access to server-sent notifications, for simplicity referred to here as push notifications, as delivered by push services. Push services are a way for application servers to send messages to webapps, whether or not the webapp is active in a browser window. Google Cloud Messaging for Chrome (GCM) is a service for signed-in Chrome users that helps developers send message data from servers to their Chrome apps and extensions. The service is intended to wake up an app or extension, and/or alert a user. Is there a nice approach for 2nd situation? To notify user in 2nd situation we need to have some software running separately from Chrome, that listens for updates from our service. Unfortunately there is no universal answer to this question, sometimes you can write an app that will show notifications when Chrome is closed, or maybe send message to Jabber or just drop email. Is the Chrome notifications API (and GCM API) supported on Android? These code is working now a day? Because I gave a try and nothing happens when chrome loads up.